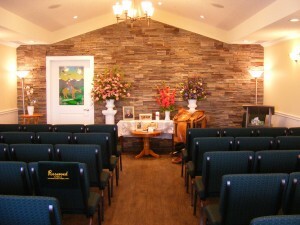 Our chapel offers an intimate setting that seats 40. For services, we utilize many of the beautiful churches or community centres that are available to us. The service may also be held at a restaurant, the family home, or farm if required. We explore all of the options to make the service needed a comfortable and memorable experience.